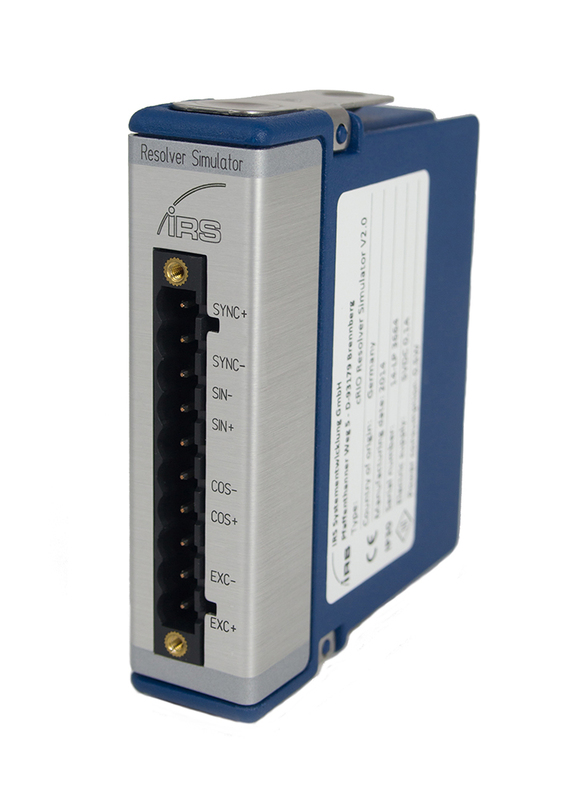 IRS cRIO resolver simulator can be used in a National Instruments Compact-RIO chassis to simulate the signal of the resolver sensor of electric motors. Resolver sensors are often used in the power-train of electrical or hybrid vehicles. Following figure shows the principle of a typical resolver, where the Excitation winding “R” is rotating. The two stator windings “S1” and “S2” receive the energy from the excitation signal and generate a signal with an amplitude, depending on the rotor position. When the Excitation winding is rotating, the two stator windings will show a signal similar to the following figure on the right. IRS provides test systems for the motor controller of hybrid or electrical vehicles. For component testing of the power stages of the motor driver, it is often not desired to include an original motor with its sensors in the tester. 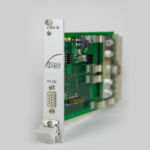 On the other hand the resolver signal should be generated for both functional test, End-Of-Line test or for lifetime tests during design validation. The resolver simulation can simulate the sensor signal of a rotating machine or may emulate specific positions of the electric motor. The module can be controlled by software to stop at certain positions or perform continuous modulation, like a rotating electric motor does. RVDT (rotary variable differential transformer) is a sensor used for measuring angular displacement. It is often used in aerospace applications because of its reliability. The following figure shows the principle of a typical RVDT-sensor, where the metal core is rotatable in a limited angular range.